This article is the first of a two part series which details the coming war. This war will not be a simple war of occupation such as what we saw in Iran and presently in Afghanistan. This war will be utterly devastating and has the potential to escalate into a conflict befitting the over-used term, “Armageddon”. Part one of this series will present what boxing fans call, “the tale of tape”. The “tale of the tape” entails identifying the combatants, their respective sides as well as the relative strengths of the participants and their military forces. The coming war will largely feature what pundits call the BRIC nations and the USA and her allies. Each side of this coming conflict possesses widely divergent military strengths, weaknesses and strategies. The United States and her allies have a decided advantage of quick strike, long range battlefield capabilities because of superior aircraft and carrier strike capabilities. The BRIC nations have an advantage with manpower, rocket propelled weapons and tanks. The USA and her allies cannot win a sustained battlefield campaign because of the attrition factor. The Chinese have demonstrated the ability to negate the United States Navy’s technological advantage through the use of killer satellites. Therefore, the entire US strategy is predicated on a first strike before the Chinese can destroy the majority of the eyes and ears of the US military, namely, its superior satellite capabilities in which the US forces can quickly locate and destroy the enemy with its smart weapons before the enemy knows what hit them. Nuclear submarines are often looked at as the great equalizer. No matter who is winning on the ground, in the air and on the surface of the oceans, the submarine force has the capability to reign down unimaginable destruction upon their enemy. In the case of submarines, the USA and her allies are matched by their BRIC counterparts. Most subs carry eight nuclear missiles, each capable of destroying a major city. The USA presumably has superior evasive techniques and therefore, would presumably survive sub-killer strategies with greater frequency that their BRIC adversaries. Therefore, the BRIC nations might win every land battle, however, the victorious BRIC nations would not have many of its cities left to return to in the case of a nuclear war. The US submarines are, in effect, a formidable doomsday weapon. For the United States and her allies to win a conventional war, a quick strike, surprise engagement is critical to the success of these forces. The BRICS would have an advantage in a longer prolonged conflict.This is particularly true when one considers that if time permitted, the Chinese have bragged that they could put 100 million men on a battlefield. Following the teachings of Sun Tsu in the famous book, The Art of War, it is critical that the BRIC nations be brought to the battlefield of choice by the USA for a quick and decisive engagement. From a conventional warfare standpoint, the engagement is likely to be naval and involve aircraft. This plays to the advantage to the USA, whose superior long range strike capability is enhanced by their superior aircraft carriers.The USA forces would likely engage in a distracting land engagement first to hold and occupy the maximum number of the BRIC forces. The land strike, a first strike, will be directed at Syria. Given the present crisis, the Russians would have to decide on choosing between protecting its eastern border with the NATO forces poised to attack, or launching an offensive directed at protecting Syria. The Russians will choose self-defense. The timing of the American invasion of Syria will take place when a sufficient number of American naval vessels are present in the Black Sea to checkmate the Russia military build up in Crimea which would serve as a staging area for military action in Syria. At the end of the day, once a large contingent of the American navy has moved into position off of the Baltic states, Russia will be powerless to prevent an US takeover of Syria. The path and progress of the CIA force ,ISIS, as it creates more designed havoc in Syria, will provide the impetus for US forces to enter Syria, thus provoking a Russian and a BRIC nation unified response. Conventional wisdom states that once the US occupies Syria, Russia will be powerless to intervene on behalf of America’s next target, Iran because the US medium range missile batteries will prevent the Russian army from moving south into the region. With Russia out of the way, Iran will capitulate and stop selling oil for gold to the BRIC nations and the Petrodollar will be preserved. Iran will agree to the control of their oil fields by the US to avoid an invasion. They will capitulate because nobody will come to their rescue. At least that is what the US is hoping for. In part two, I will present a more likely scenario. What about India and China? Won’t they move to protect Iran and thus, erode the Petrodollar? Not exactly, as China and India will have their hands full. The naval strike that I speak of will be directed at China. 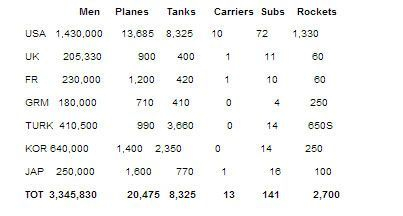 Before the commencement of hostilities, China will be given a short time to stand down or face destruction by the US submarines and the long range capabilities of US carriers. It is only necessary to target China’s major cities to force capitulation. This strategy would free the disenchanted Chinese, living in the rebellious outlying provinces to launch a revolution against Beijing. It is also rumored that the US does have space based nuclear weapons. If this is the case, this conflict could be over in the early morning hours of the first day. The Chinese submarine force could be capable of taking out several US cities, however, their submarines alone will not change the outcome. India will be held in check by Pakistan. Subsequently, India will never enter the fight. US forces in Afghanistan could block a Russian invasion of Pakistan from the north. It is clear that the USA and her allies will decisively defeat the BRIC nations in a conventional war, so long as it is a short conflict. However, there is one game-changing strategy that the BRICS could employ. If the BRIC nations were to simultaneously launch a series of high altitude ICBM’s over every theater of potential war, the high altitude nuclear blast could create an EMP attack on a global scale. Such an action would negate the technological advantage of the US military and reduce the conflict to brutal savagery which would be dominated by global famine. Certainly the super elite would experience their much-coveted population reduction on an unprecedented scale. This action would ultimately produce a military stalemate and the war would disintegrate into one brute force versus another for a very long time. The former popular TV show, Revolution, comes to mind. More on the trigger event along with a more detailed chronology will be presented in the next part of this series. The nuclear arsenals of the BRICS vs. the USA and her allies are equivalent on paper. However, the reliability factor, related to the weapons, clearly favors the USA. To the sane person, the topic of nuclear war is almost a moot point. If either side resorts to the use of nuclear weapons on anything more than a battlefield scale with tactical nuclear weapons, this would render the conflict meaningless as the planet would be a very undesirable place to inhabit. Then again, the psychopathic elite, safely tucked away in the tunnels beneath Denver International Airport, may feel they have the ability to wait out the devastation going on above. The following data demonstrates the ultimate futility of employing nuclear weapons on a regional and intercontinental basis. Of course, recognizing the futility of such utter destruction and hoping that this would serve as a deterrent to the psychopathic bankers from starting such a conflict, cannot be counted on. 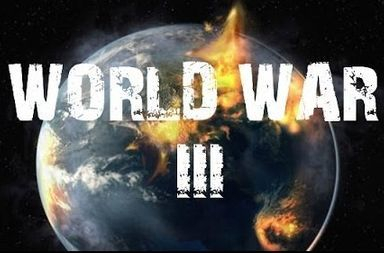 After all, if one’s ultimate goal is the destruction and reduction of 90% of the human race, and a nuclear war would constitute the level of chaos needed in order to bring forth “the order of out chaos” which would be needed to usher in the New World Order. This makes nuclear war more, not less likely! Your children picked a very bad time to be born. The only winners in what is coming will be the Satan-serving bankers who are bankrolling both sides of the coming conflict. It is the hope of this author that these facts will demonstrate the utter destruction that billions of innocent people on this planet face. Could these be the last days before the Tribulation and ultimate judgment? Perhaps, but the Bible cautions us that we will not know the exact time of the return of Jesus. Certainly, the conditions are ripe for nuclear conflict and it is all so tragic and avoidable. Jesus showed humanity over 2,000 years ago, who the real enemy of humanity is. It is unquestoinably demonic but manifests itself in the human form of a banker. Man was not meant to engage in banker wars of profit. No wonder Jesus chased the money changers from the Temple with a whip. The world needs an “Occupy Basel” movement, where the Bank of International Settlements resides. Such a movement would be needed in order to save humanity. These psychopathic bankers need to be imprisoned in order to save humanity from complete destruction. Do not hold your breath, martial law, followed by World War III, is probably unavoidable. This analysis has been contributed by Dave Hodges and was originally published at The Common Sense Show. SHTFplan Editor’s Note: A lot has happened in the last 72 hours. By all indications the east and west are once again positioning for a face off that may well result in the next global conflict. Last time this happened over 60 million people across the planet were dead before it was all said and done. This time around humanity has weapons at its disposal that are so capable of widespread destruction that we could literally be facing the annihilation of the majority of the human race. Make no mistake, both Russia and the United States are prepared to use them. Yes, our leaders may be working to peacefully resolve this crisis, but so too did global leaders prior to World Wars I and II. We know how that turned out. It is impossible to determine a “time frame” on such events, but the rhetoric being disseminated on both sides of the pond is indicative of a continued build up of tensions. On one hand, we have President Vladimir Putin declaring major successes in “New Russia,” the region we here in the West refer to as the Ukraine. On the other, President Obama has stepped up efforts to mobilize thousands of NATO troops in the region and has unequivocally stated that any attack on Balkan nations will be reciprocated with force under NATO Article 5 declarations – an attack on one, is an attack on all. Both leaders are now using threats of nuclear force as deterrents. All it will take is for the right triggering event, whether real or manufactured, and the rhetoric will turn to actuality. Indeed, the world stands on the brink of a conflagration of unprecedented scale and destruction.